Xbox Game Pass Ultimate is a simple proposition: get Xbox Game Pass and Xbox Live Gold bundled together in one easy subscription for $14.99 (UK prices TBA). They're the two big subscription services that Microsoft offers for Xbox players, so bundling them together makes so much sense that it's almost weird to think it wasn't an option before, especially with Xbox One S All-Digital Edition coming May 7. Some members of the Xbox Insider community can subscribe to Xbox Game Pass Ultimate right now, and it will roll out to the public later this year. 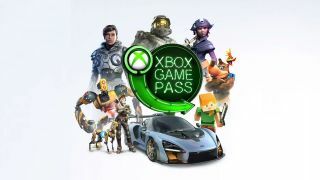 The convenience is undeniable: Xbox Game Pass lets you download and play hundreds of games across all sizes and genres, including all upcoming first-party games, and Xbox Live Gold lets you play them with online multiplayer (and adds its own selection of Xbox Games with Gold). The savings for Xbox Game Pass Ultimate take a little more work to suss out. Xbox Game Pass is normally $9.99 a month, even if you sign up for multiple months at once. A separate subscription to Xbox Live Gold is also $9.99 a month but you can get a discount by signing up for a year for $59.99 (making it about $5 a month). Add the cheapest versions of the two subscriptions up and you get $14.99 a month, just like Xbox Game Pass Ultimate. Though it's nice that you can go monthly and get the same price without paying for a whole year, and you can even apply credit you've already paid toward the separate services. On the other hand, you can often find deals on Xbox Live Gold 12 month subscriptions which would make buying a la carte more desirable if you don't mind the extra effort. To sum it all up, Xbox Game Pass Ultimate sounds like a good-but-not-great deal for folks who want one easy subscription that gives them all of Xbox's best online offerings. You'll find plenty to play on our list of the best Xbox One games. Or see what's coming up this week with the latest edition of our Release Radar video.